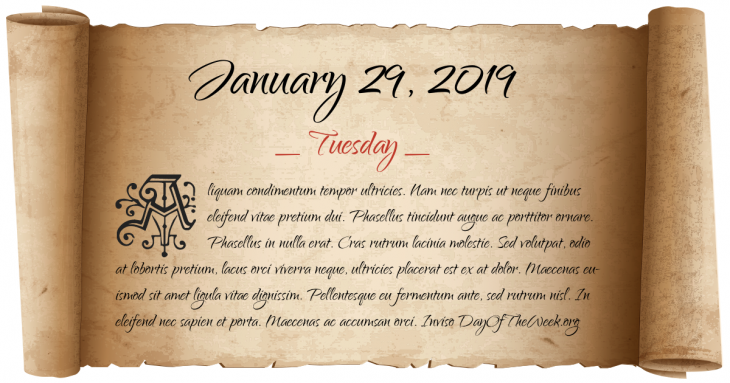 What Day Of The Week Was January 29? France defeats Russia and Prussia in the Battle of Brienne. World War I: Paris is first bombed by German zeppelins. Ukrainian-Soviet War: The Bolshevik Red Army, on its way to besiege Kiev, is met by a small group of military students at the Battle of Kruty. New Year’s Day in Chinese calendar. Start of the year of the Earth Ox in Chinese astrology. Final recording session of We Are The World, by the supergroup USA for Africa. Who were born on January 29?